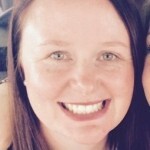 Erin van Maanen is Head of Corporation Compliance at Hydro Tasmania. She studied economics and applied finance and has worked primarily in the renewable energy industry in various finance and strategy roles. Erin has a strong interest in advocating for the interests of children and enjoys her life most when she is spending time with her husband and three young children.